Klock Werks Announces Kevin Dunworth Of Loaded Gun Customs As Newest Team Member! (Mitchell, SD) –Kevin Dunworth, of Loaded Gun Customs Motorcycle Shop out of Selbyville, DE, has joined the progressive team of creative motorcycle family members at Klock Werks Kustom Cycles. Klock Werks is most known for it’s Original and patented Flare™ Windshield line of products along with its high quality offering of “bagger” sheet metal which are distributed through Parts Unlimited and Drag Specialties. 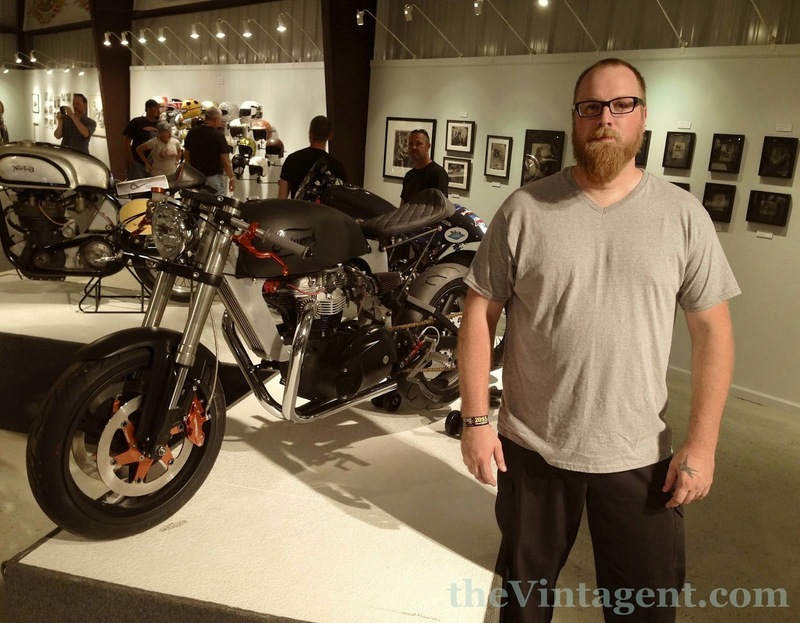 Many may recognize Kevin as he has been featured on Cafe' Racer TV, makes appearances at several Industry trade shows, graced the pages of many motorcycle magazines, and most recently has built a bike for two time Gold Olympian Kallie Humphries On Velocity's television show "Naked Speed". "I am very excited to throttle my career in the Motorcycle industry to the next level with the Klock Werks Team. Having Friends, mentors, and leaders like Brian and Laura Klock have been instrumental in my chosen path to this point. I hope to benefit the goals of growth that they and their team strive towards by working with them." States Kevin Dunworth. working with Drag Specialties representatives and dealers to better educate in the retail space about everything Klock Werks. He will be supporting regional events and dealer open houses starting on the east coast this summer. "We are excited to add Kevin to the team, his experience in the cafe' and custom scene speaks for itself. His ability to network amongst builders and dealers will be a great addition to our family of motorcycle enthusiasts. Hiring “value added” designers, and motorcyclists adds to our core", stated Brian Klock, Klock Werks founder.